Chimichurri sauce comes in two versions: a green version (Chimichurri Verde) and a red version (Chimichurri Rojo). This sauce blends well with steaks. You can serve it with any other grilled meat or foods as well including bavette, seafood, chicken, salad, and many more. Like I said already, Chimichurri sauce contains herbs, and adds flavor to food. Mostly, this sauce is made of finely chopped parsley, oregano, olive oil, garlic, and red wine vinegar. Its dominant flavors are parsley and garlic. In red Chimichurri sauce, you can add tomato and red bell pepper. You can brush Chimichurri sauce onto meat while cooking. You can also pour it over the cooked meat while it rests to cool down. Occasionally, many people use the sauce as a marinade for grilled meat. Chimichurri is available in bottle or dehydrated form for preparation. You can use the store bought sauce just by adding olive oil or water. However, it is suggested to make your own Chimichurri sauce at home. Chimichurri sauce is gluten free and vegan sauce with a clove of intense garlic, and herbs flavor. It tastes delicious with just about everything. There are many ways to apply the Chimichurri sauce. This sauce can be used as a salad dressing if you add oil or vinegar with it. Also, a lot of people add cheese over it to turn the sauce into a yummy dip for snacks. This classic sauce can be served with a range of delicious dishes including sandwiches, salads, chicken breasts, roasted potatoes, and seafood. Potato lovers can bake wedges with the Chimichurri sauce. Additionally, this sauce can also be served as a dip with the same potato wedges. Since Chimichurri sauce is made with lots of garlic, thus, it makes a great topping for garlic bread. This sauce turns any appetizer into a perfect side dish for grilled meats. You can use this recipe of colorful Chimichurri sauce as a marinade and can also serve it with all cuts of beef. Now that you know what ingredients you will need to follow this recipe. Next step is, preparing the sauce. First, mix shallot, chili, garlic, vinegar, and salt in a medium bowl. After 10 minutes, add cilantro, parsley, and oregano and stir everything. Now, add olive oil and mix it well with all other ingredients. Once your sauce is ready, you can either use it as a marinade or serve over grilled meat. I suppose you can do both, depending on your taste buds. If you plan to marinade the meat with Chimichurri sauce, then you have to dip the meat in bbq sauce and let it chill at least 3 hours or up to overnight before grilling. Most people prefer the traditional way of Chimichurri recipe since it is an essential part of authentic cuisine. It brings Latin flavors in grilled meats. This traditional recipe is usually served with steak. You can try it with smoky grilled fish and chicken. In order to make the sauce, you will have to blend the parsley, garlic, crushed red pepper, and oregano. Then add vinegar into the mixture and season it with pepper and salt. Pour the sauce into a bowl and add the olive oil in the mixture. Let the sauce sit for 20 minutes before you use it. Possibilities of applying this amazing traditional sauce are endless. You just have to be creative and try out different recipes whenever you get a chance. 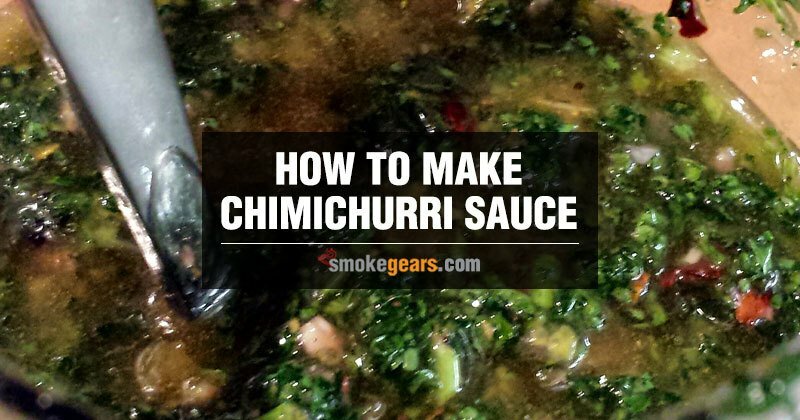 Chimichurri sauce will never fail to amuse you. Use this sauce at your next summer barbecue party, and impress the guests with delicacies of herbs and garlic.